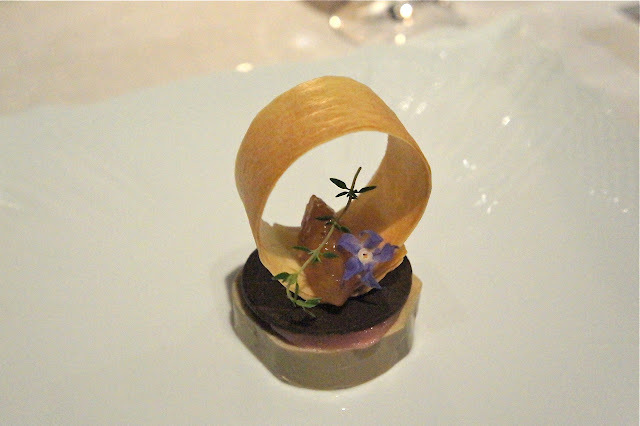 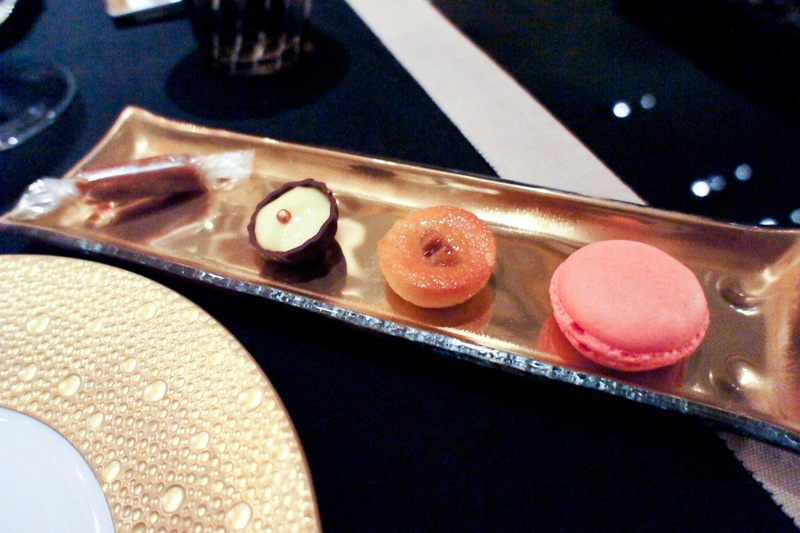 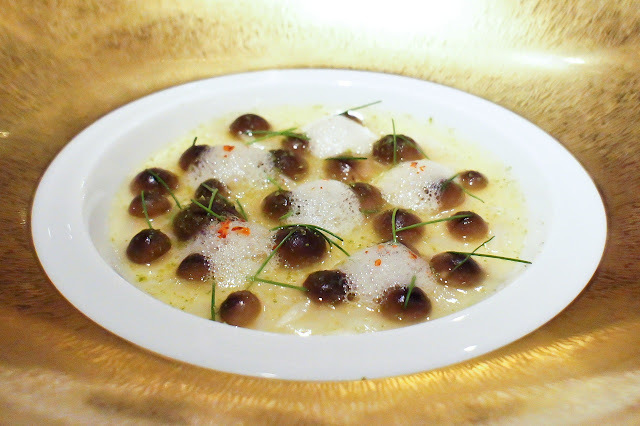 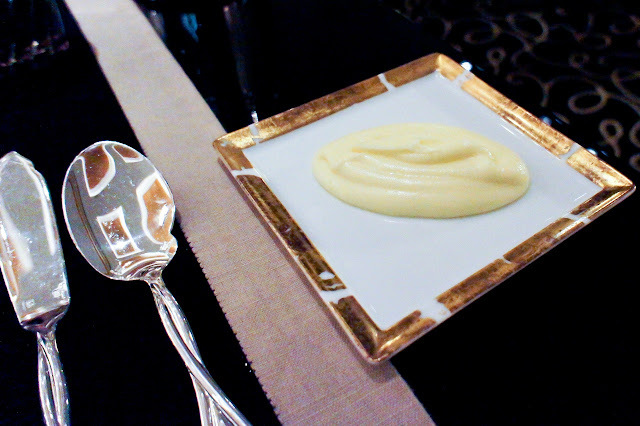 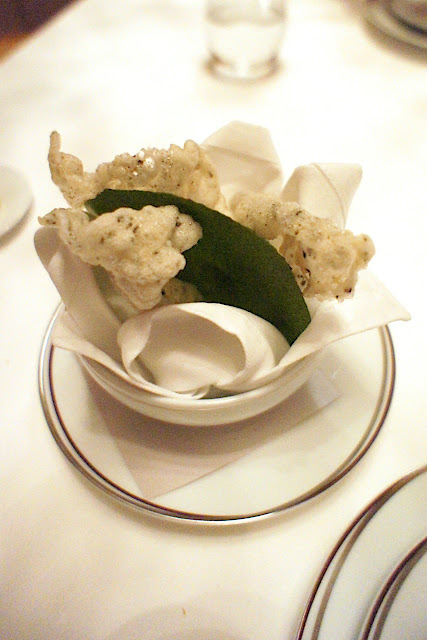 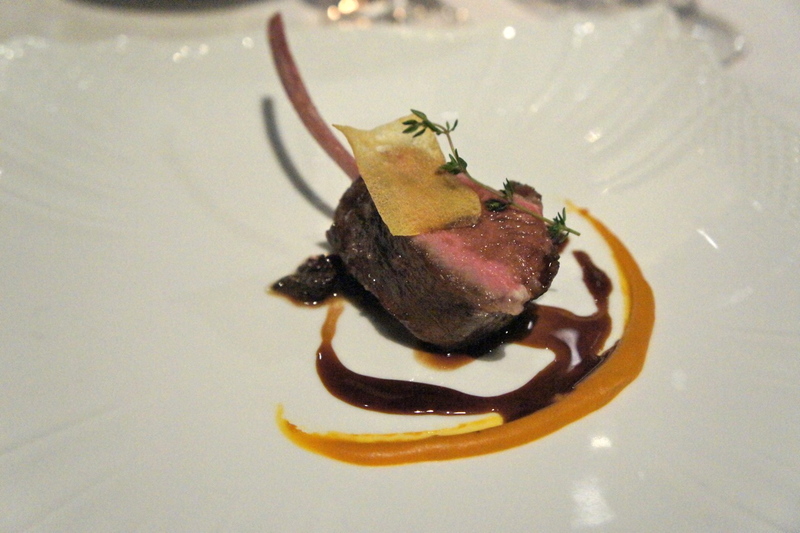 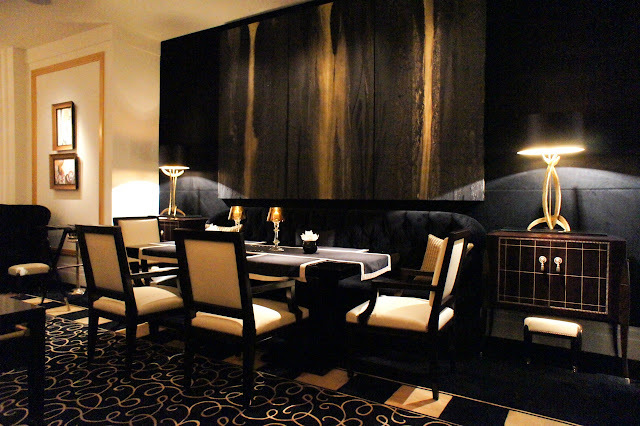 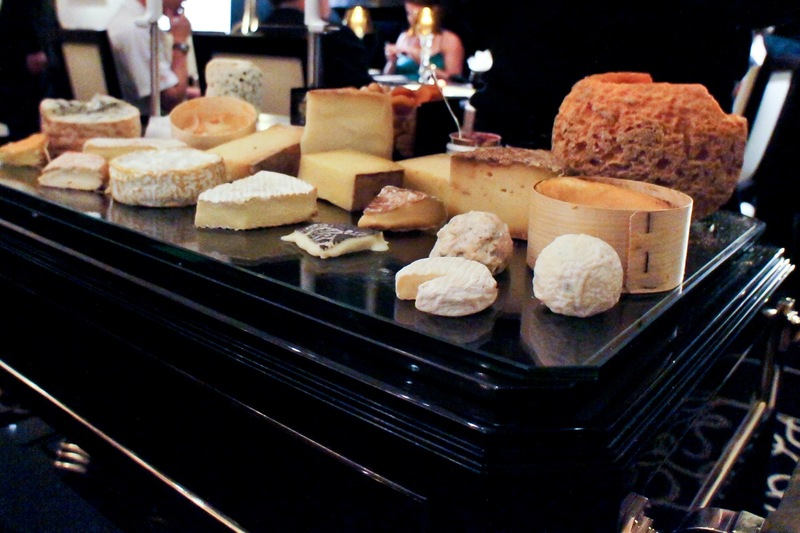 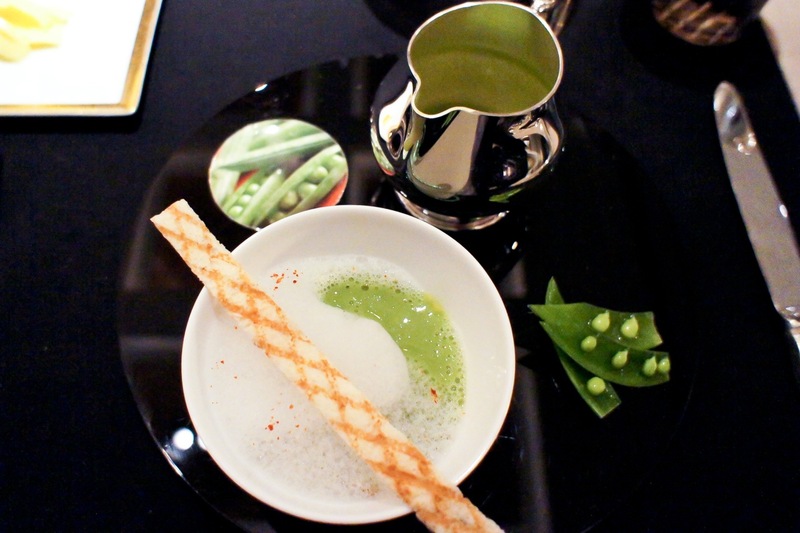 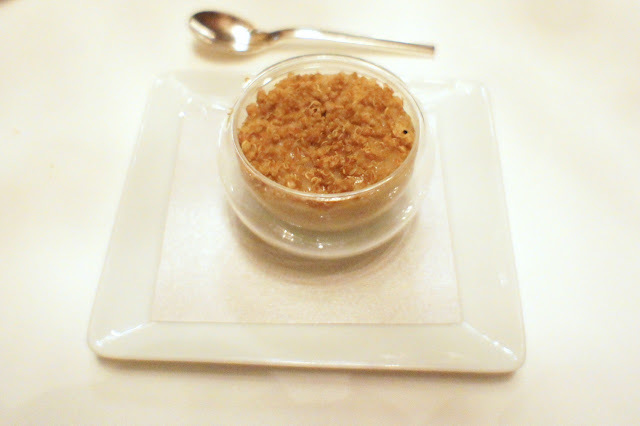 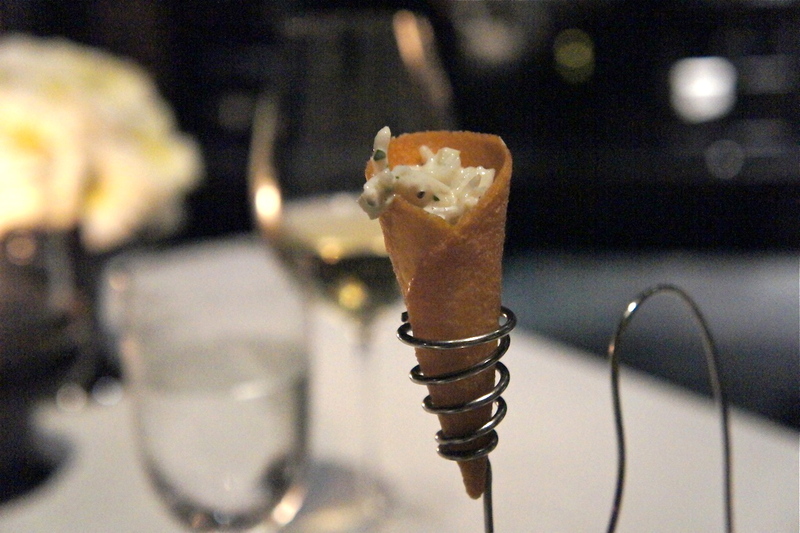 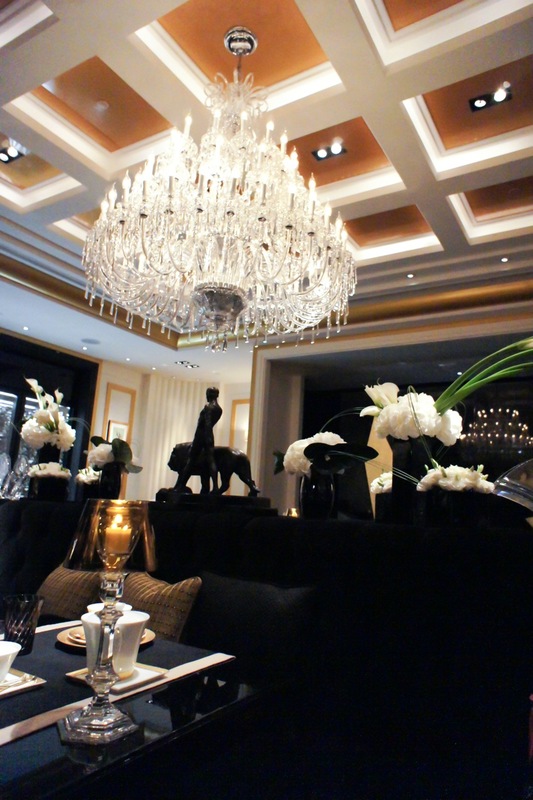 Amber is a 2 Michelin star French restaurant in the Landmark Mandarin Oriental in Hong Kong. 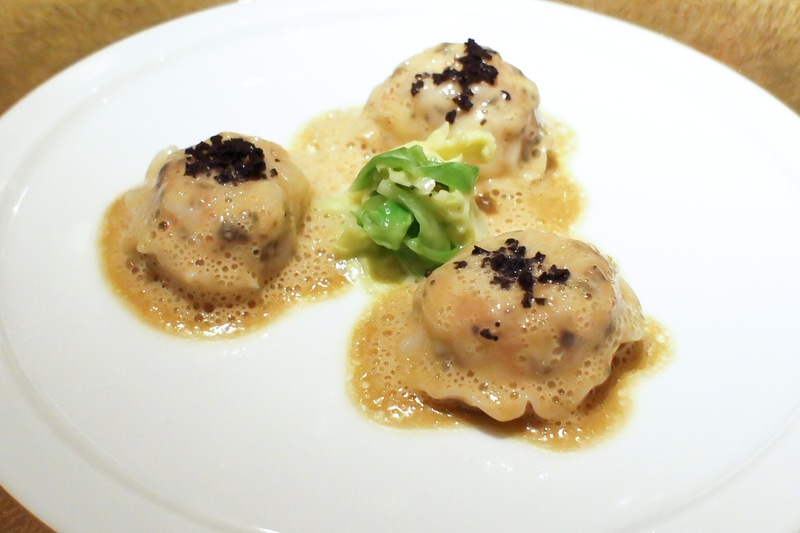 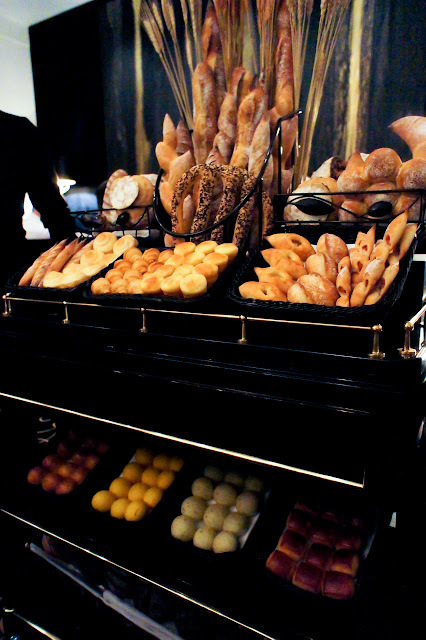 Much lauded recently in the Hong Kong fine-dining scene, it has become popular for its weekend wine brunch where they ply you with so much wine that the rest of your day is literally wasted. We have eaten here several times for lunch (as well as the wine brunch on a Saturday) and have been quite impressed with the food and decor, though this was our first dinner here. 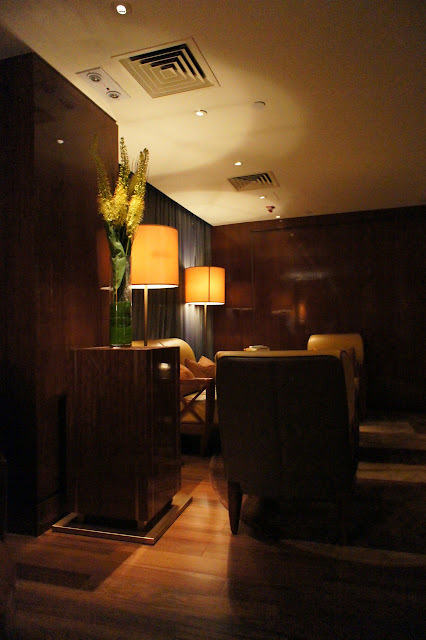 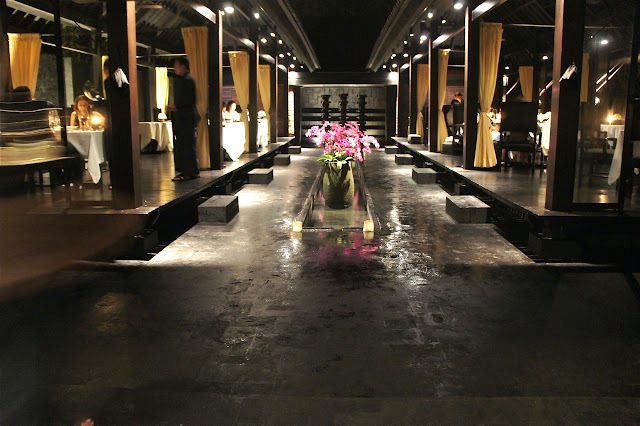 The restaurant goes for the dark and modern lux look for its interior, with tables too poorly lit for our liking (which consequently affected any photographs of the food we took), but the dining room felt spacious and comfortable. This is the ideal dinner date restaurant as the dim lighting conceals all but the most obvious flaws. 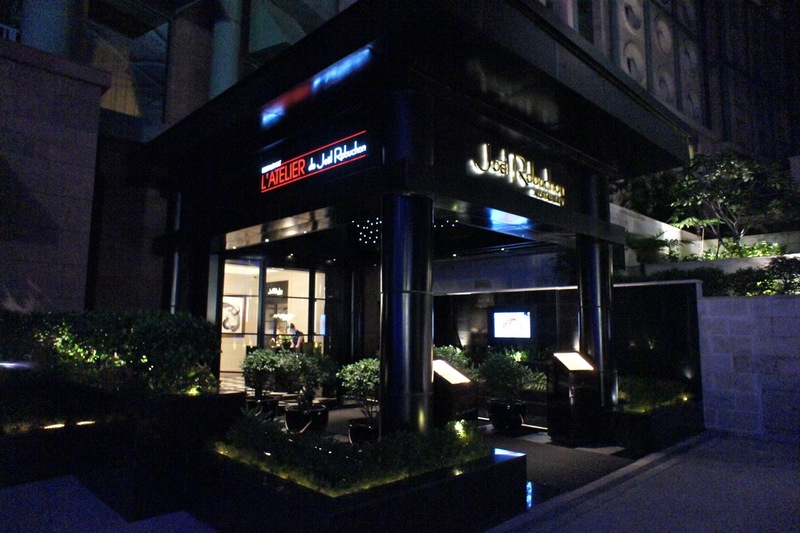 The menus at Amber usually come with wine pairings and it is in our experience that the wines are well picked and hence worth going for. 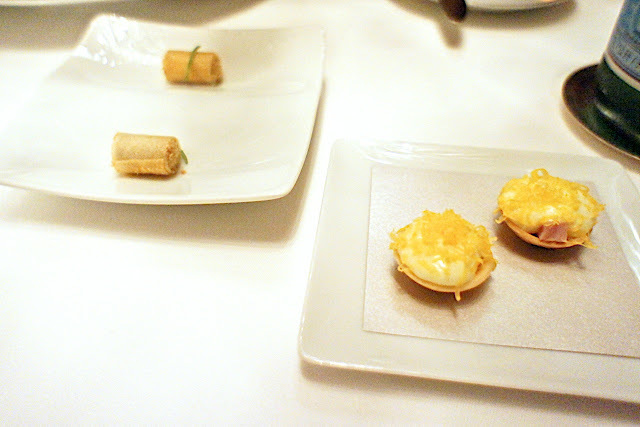 We were started off with some canapés of anchovy rolls and camembert tarts, both of which were quite tasty. 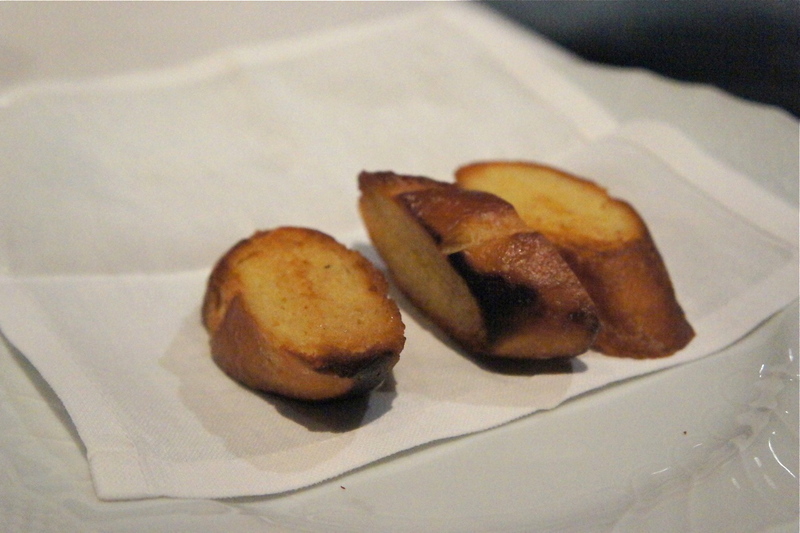 These were followed by a foie gras terrine with a coat of raspberry jelly presented as a lollipop and a Iberico ham croquette. 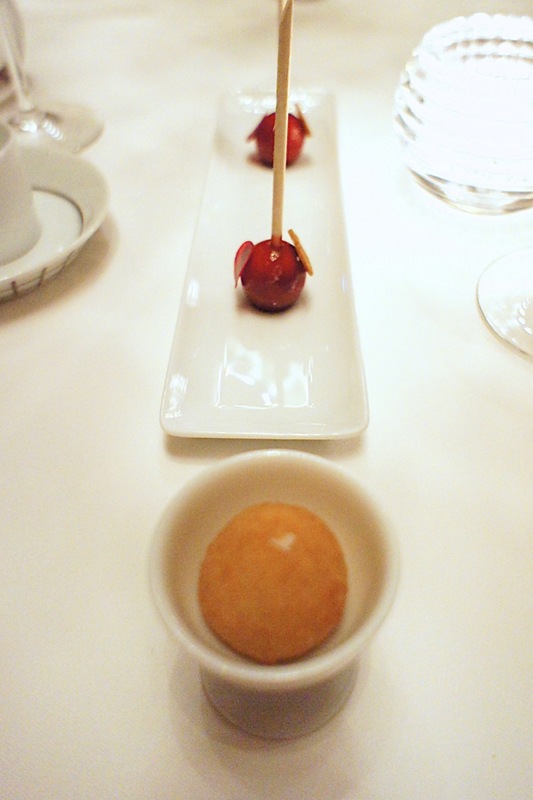 The foie gras was excellent but the croquette ordinary. 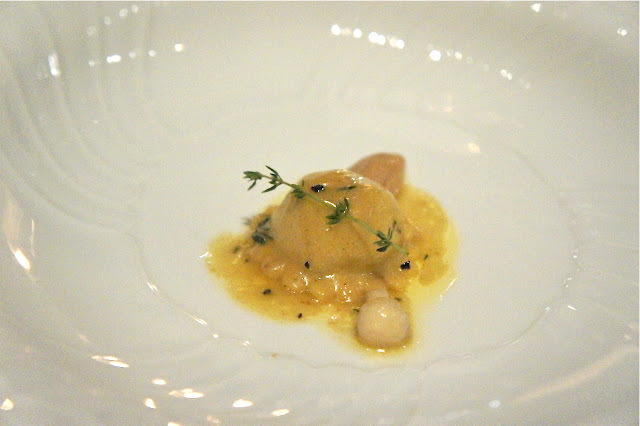 The last amuse bouche was a strange one: a layer each of parsley foam, ceps mushroom cream and crispy cereal. 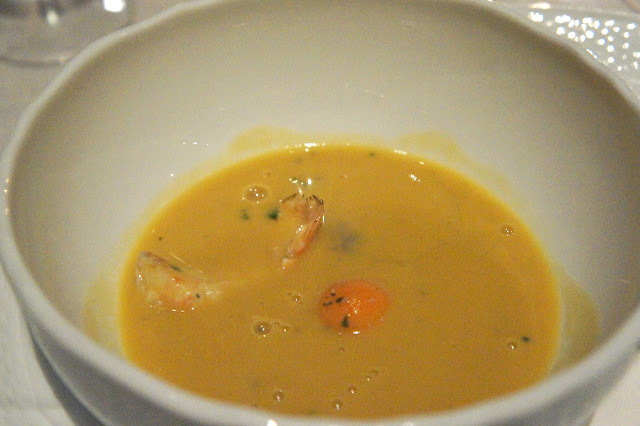 This was quite bad actually and we were surprised that the chef let this out of the kitchen. 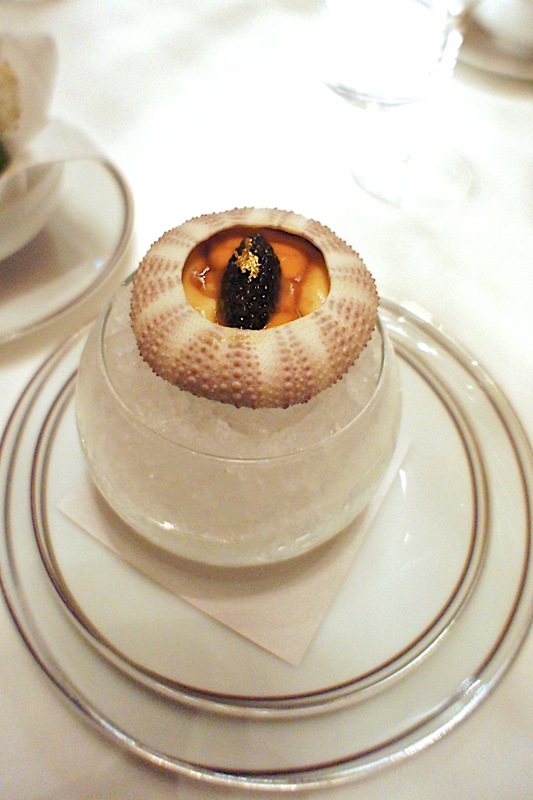 Sea Urchin: in a lobster jello-O with cauliflower, caviar and crispy seaweed waffles - This was excellent. 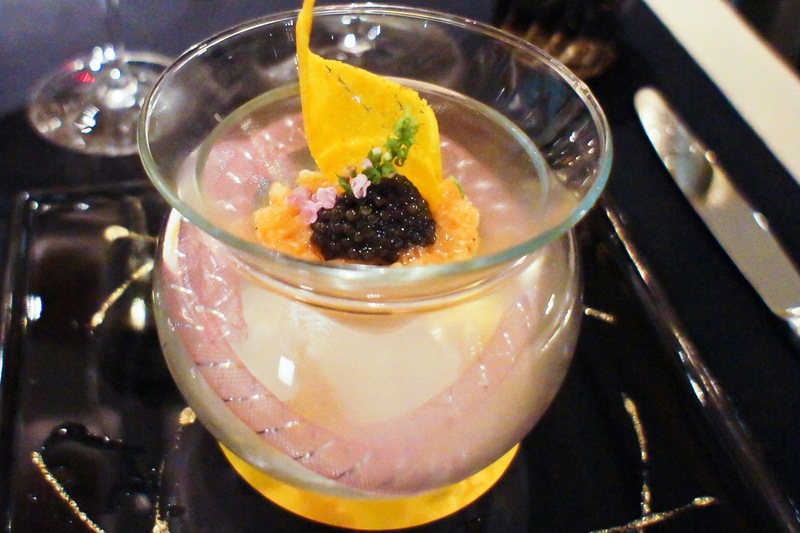 The uni and Oscietra caviar were a perfect match. This was accompanied by a basket of crispy seaweed crackers and we were supposed to take a bite of the cracker after each scoop of the uni/caviar. This had the effect of bringing to us the taste of the sea. 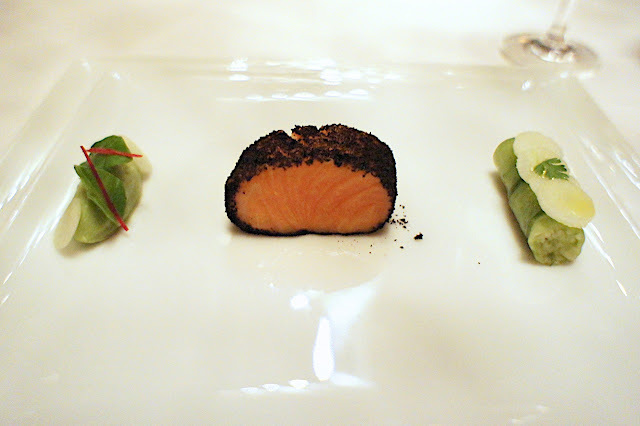 Tasmanian salmon: confit and smoked, with avocado, horseradish and granny smith apple - The salmon was cold-smoked (an unusual and difficult mode of cooking) and the green puree on either side of the salmon did well to take the edge off the taste of charcoal. 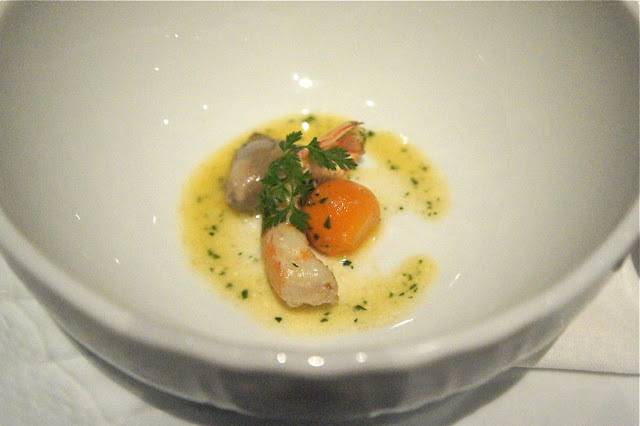 A very enjoyable dish. 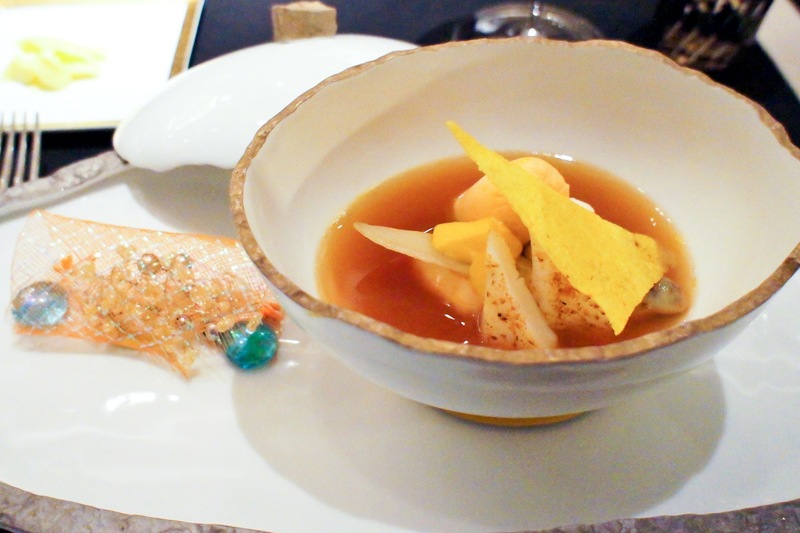 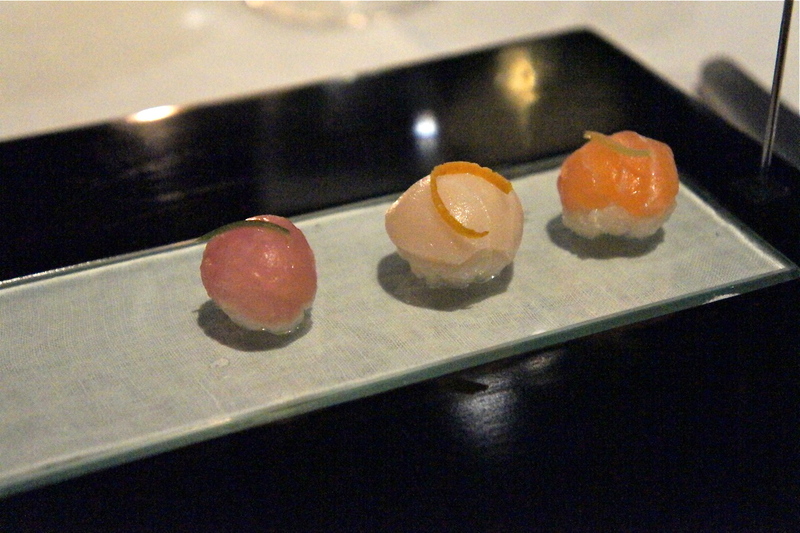 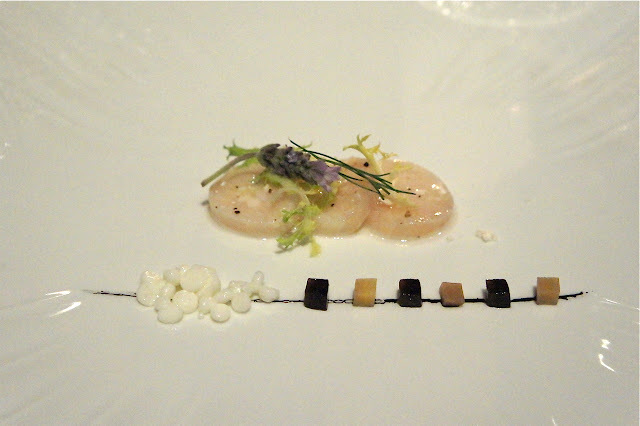 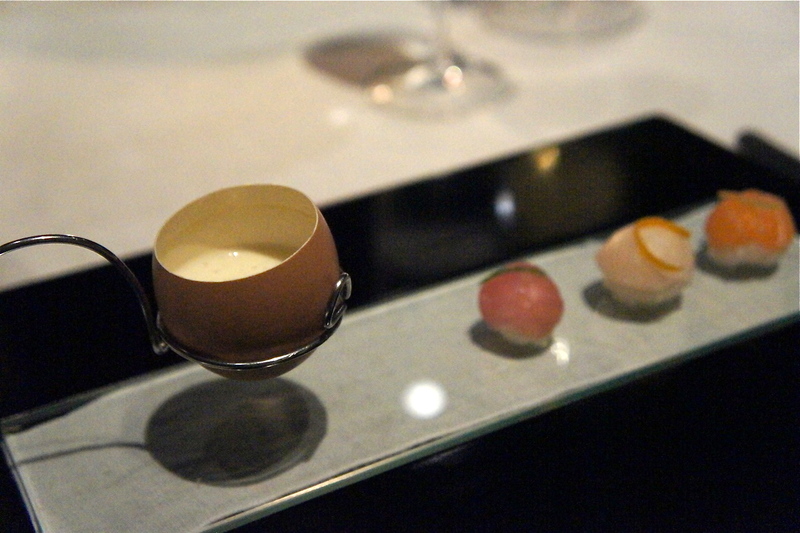 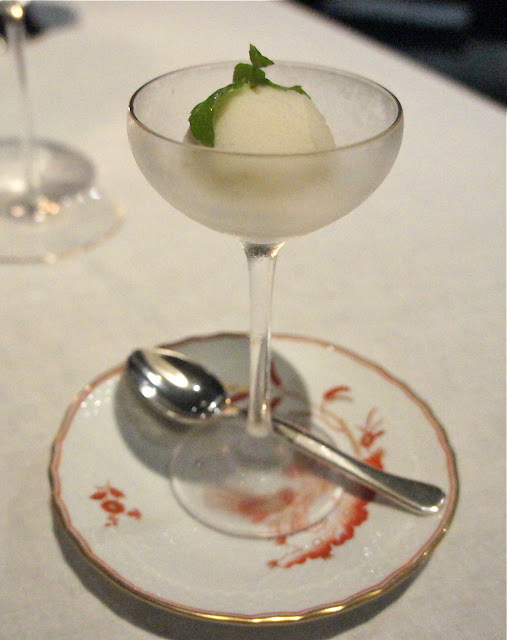 In addition, the 'wine' served for this dish was a glass of sake, which was rather unique and innovative. 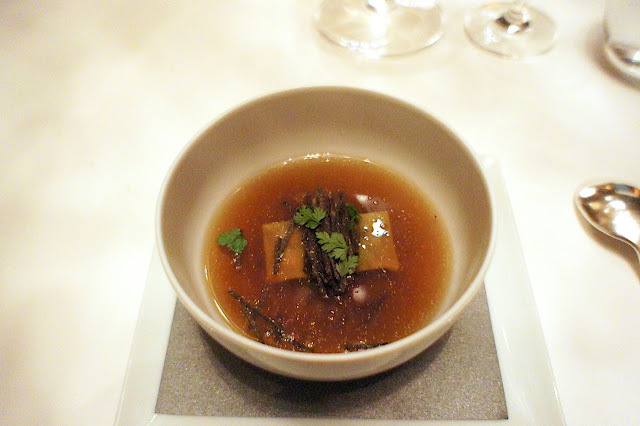 Duck foie gras: Tasmanian black truffle ravioli in cep consomme - Quite a classic dish, tasted good without impressing too much. 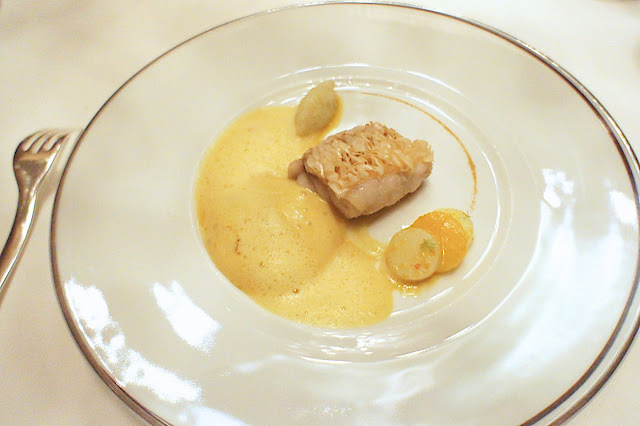 Red amadai: fennel and orange confit, 'bottarga' grated new potatoes, with 'bouillabaisse' and manni olive oil emulsion - The fish was very nicely cooked. This reminded us of the same dish we had at Robuchon Hong Kong (see earlier review: Robuchon Hong Kong) but was slightly better. The scales were nicely crisped yet the fish remained very tender and moist. Kagoshima wagyu beef: sirloin MS, A4, oven roasted with puree of 'forgotten' shallots - This was a Grade 9 Wagyu sirloin cut hence a bit tough, but nonetheless full of flavour and utterly delicious. 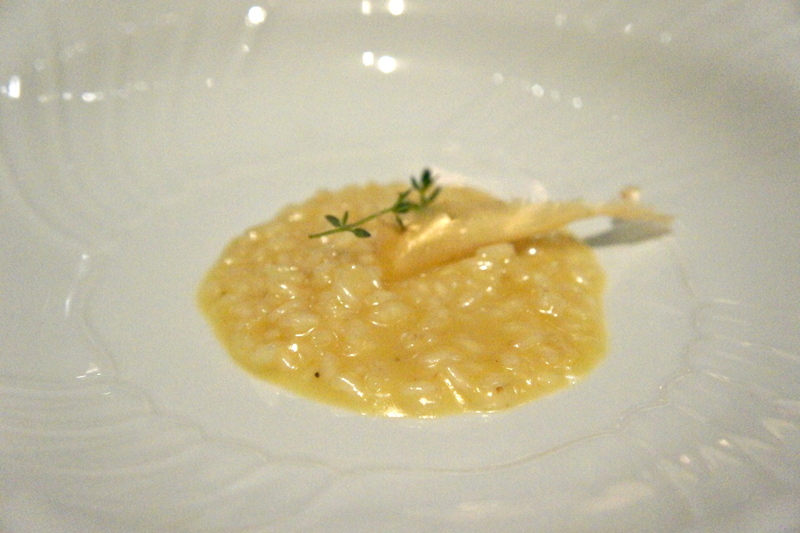 The sauce in particular was excellent. 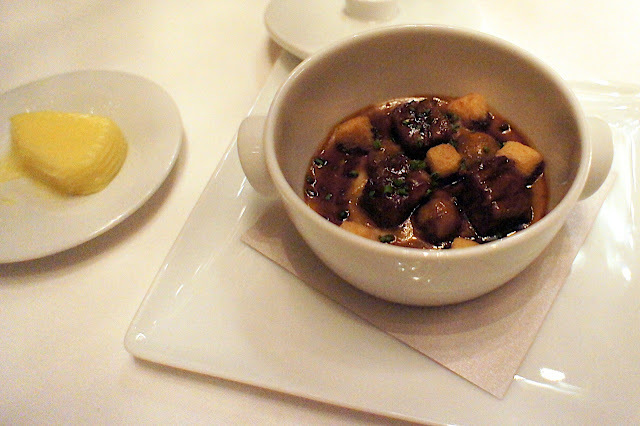 This dish, in case it wasn't filling enough, came with a side of beef cheeks in mushroom and potato puree. 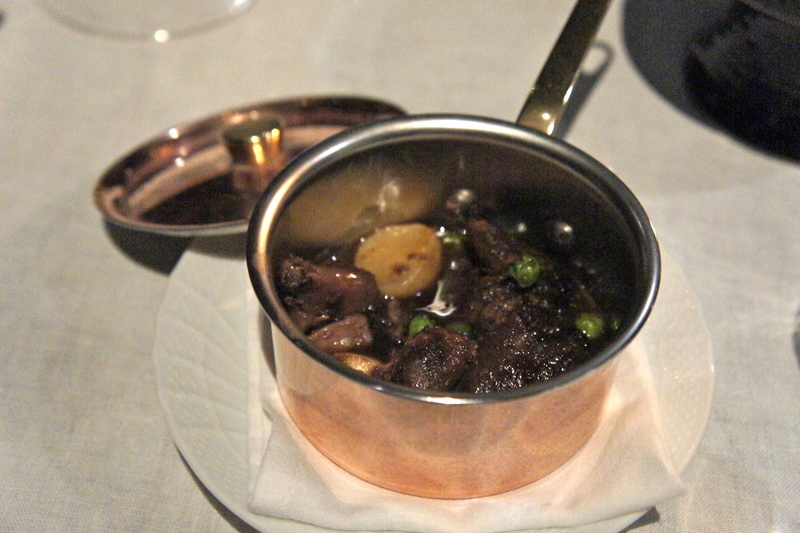 The beef cheeks could have been easily overlooked as just an accompaniment but was in truth worthy of being a main course in its own right. 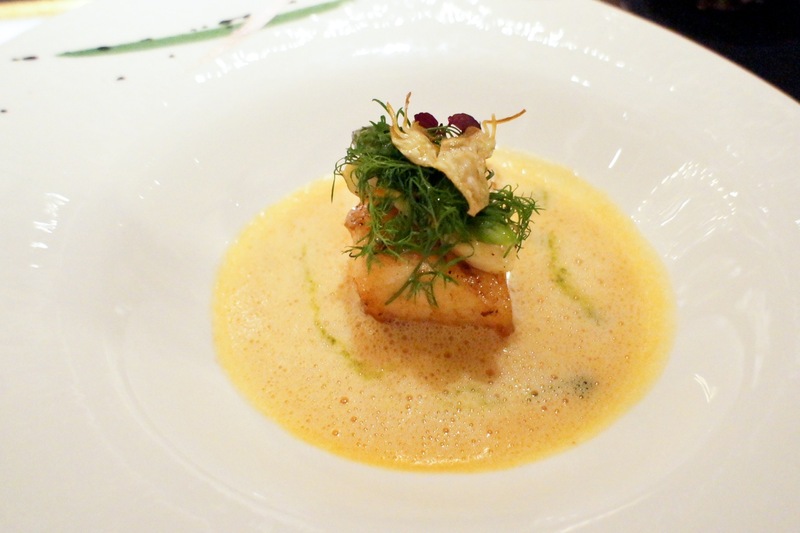 Curiously, we didn't really understand what the name of this dish really meant. 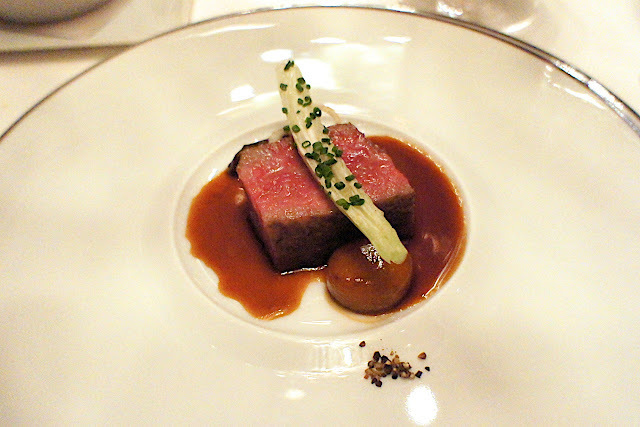 What did "MS" and "A4" mean and why were the shallots "forgotten"? 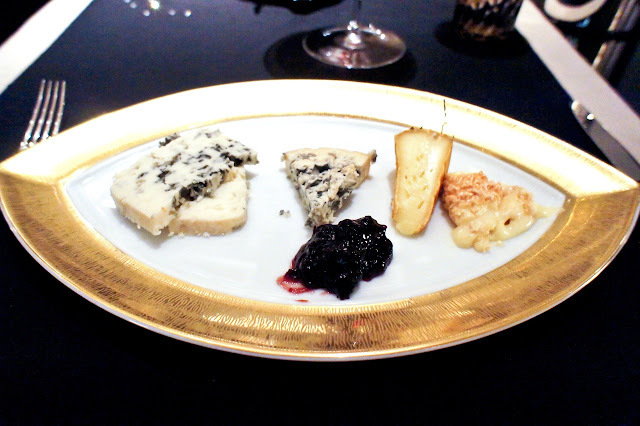 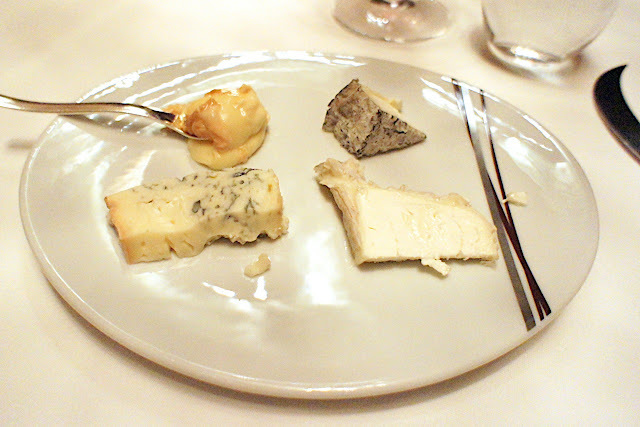 French farmer cheeses: matured by Bernard Antony - the usual French favourites but pretty ordinary in this instance. 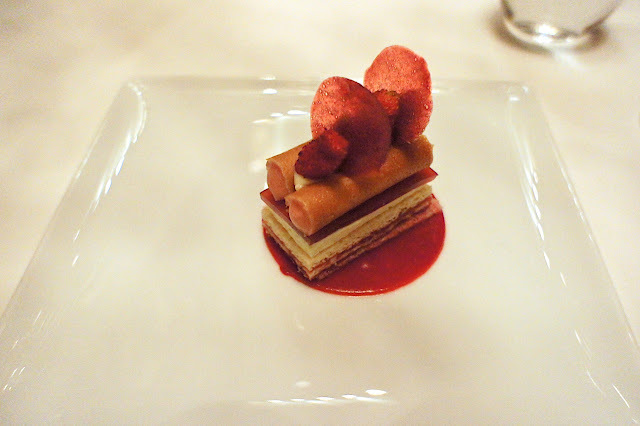 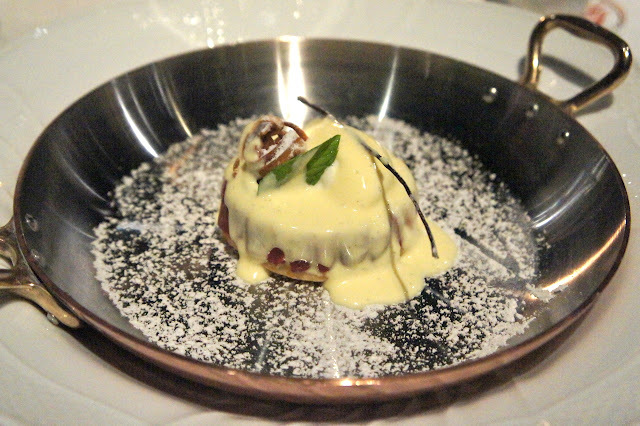 Malaga wild strawberries: mascarpone semi freddo with liquor 'fraise des bois' tipsy cake - We really liked this dessert. 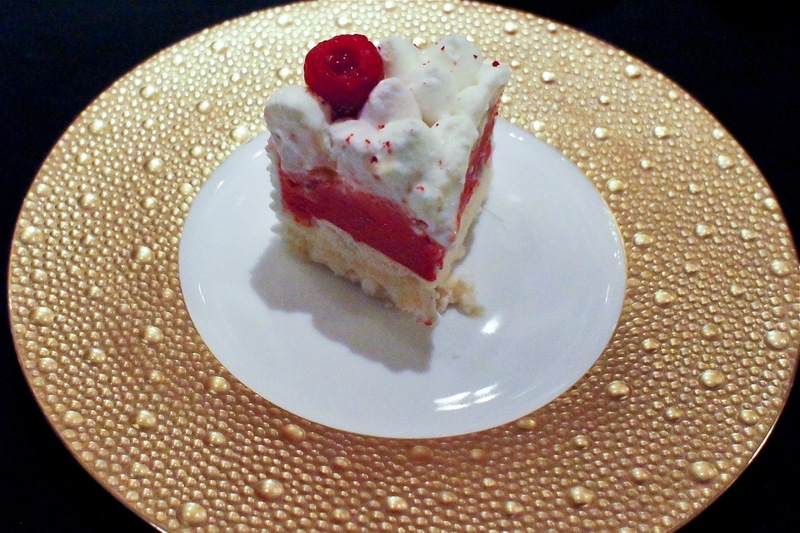 The raspberries were very sweet and cake was light and refreshing. 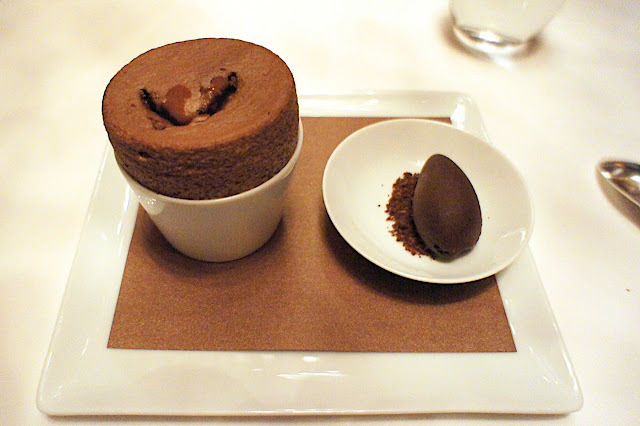 Abinao 85% chocolate: soufflé with brown rum anglaise and cacao sorbet - The chocolate sorbet was an interesting one, it was intensely chocolaty yet lacked the milkiness usually associated with chocolate (as it was a sorbet and not ice-cream or gelato). The soufflé was also good. 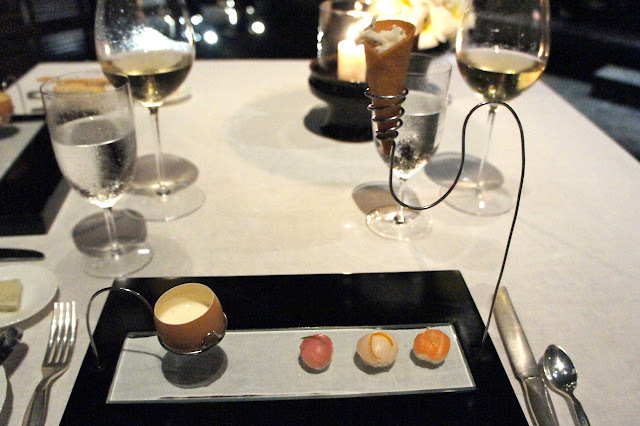 Service throughout was good and the wine pairing excellent as expected. 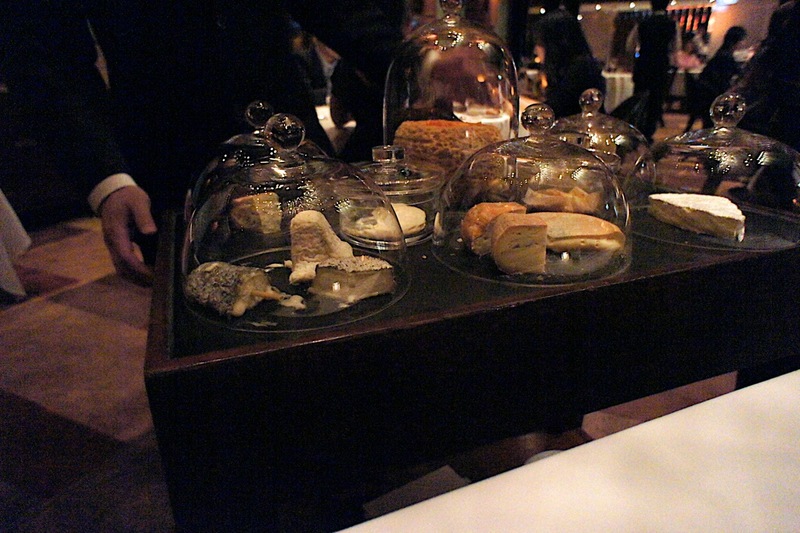 We didn't pick from the wine list this time so cannot comment on it. 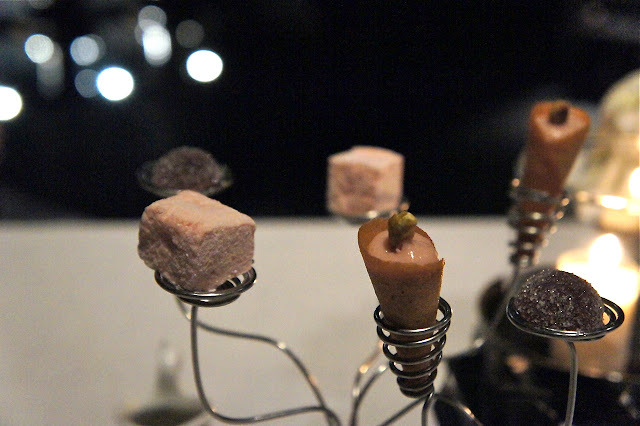 Strangely, we were not served with any petit fours with our tea after dinner, which we weren't sure was due to an oversight or if they just don't do it. Not a big deal as we were already unable to eat any more after the dinner. Final Thoughts: A very good meal and we enjoyed each course. 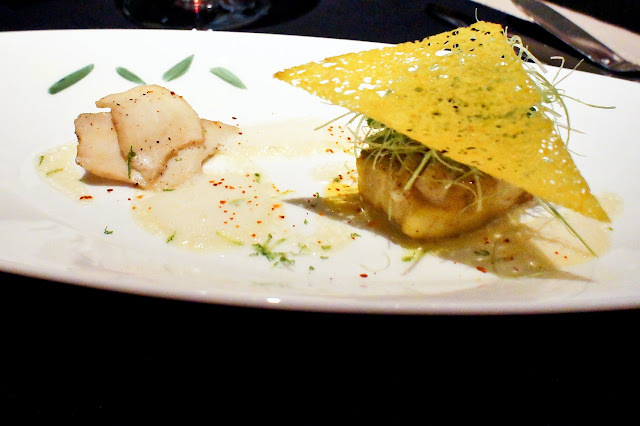 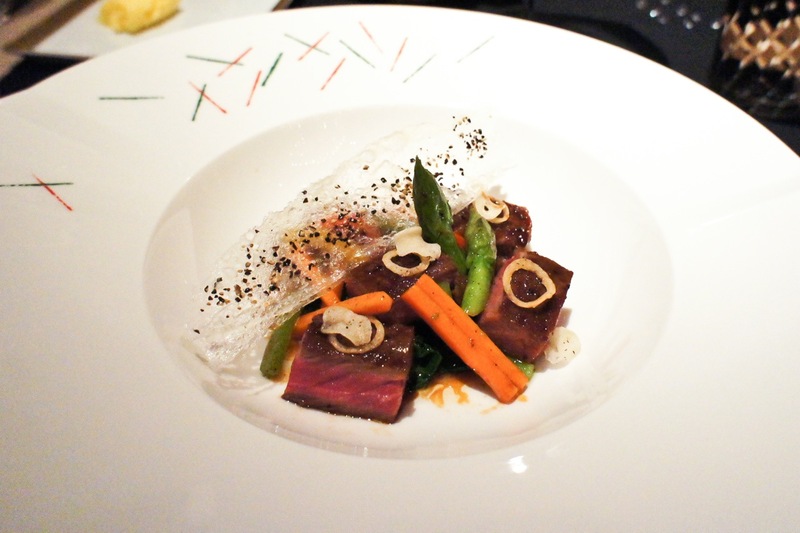 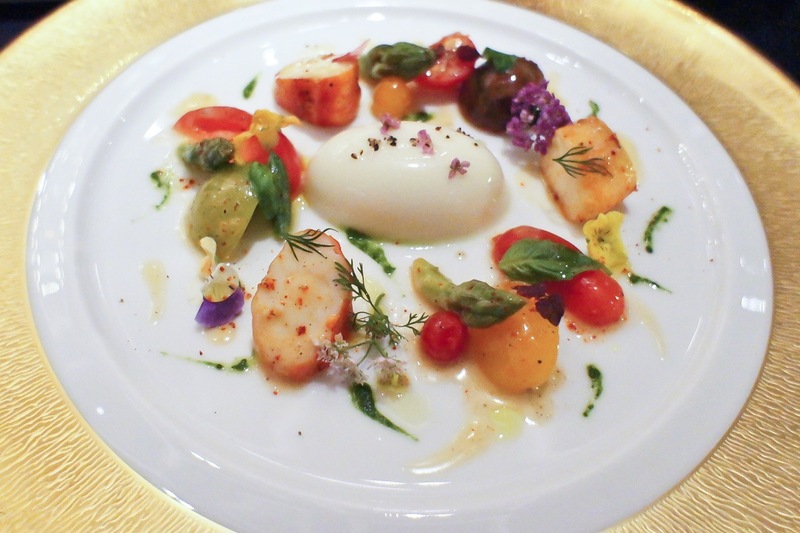 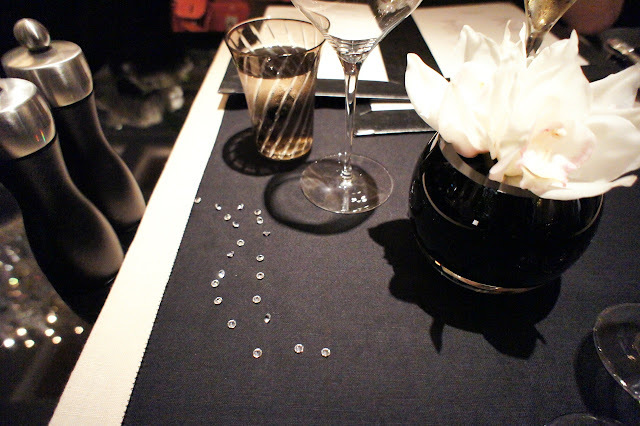 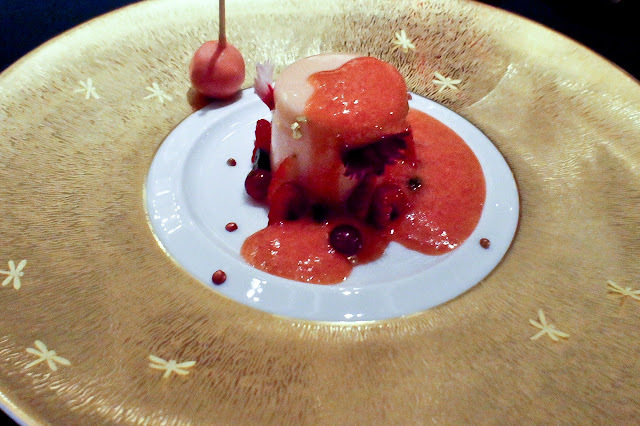 However, we just cannot help the feeling that the chef in his cooking did not sufficiently stamp his personality on his food; this entire dinner could have been served in Robuchon and we would barely notice the difference. 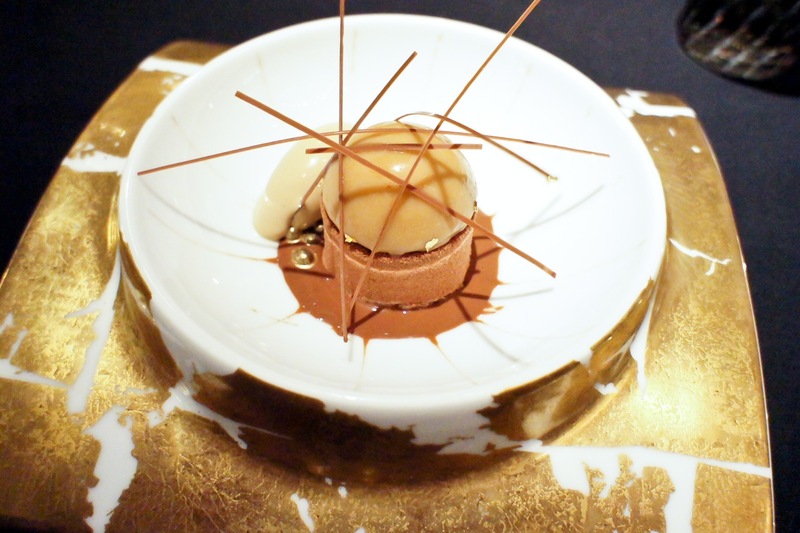 One could take that as praise for Amber, but in actual fact, for a 2-star restaurant, we feel that it needs to develop its own unique identity.